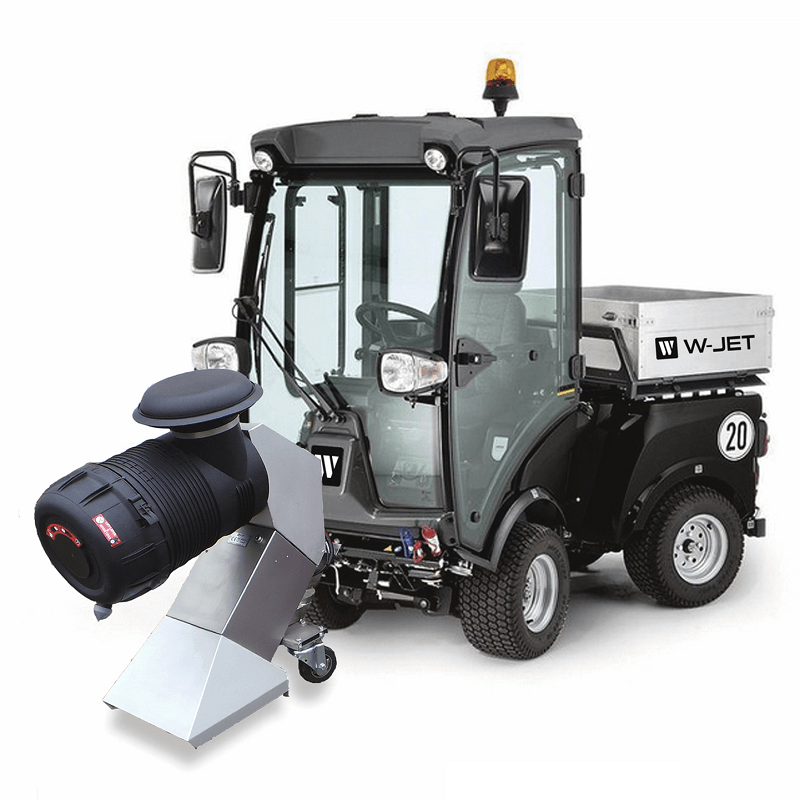 W-JET, WAT4: Self-propelled RoadDryer, with the M1 in lift with 80 cm wide side slide to achieve safety distance to passing objects or traffic. Type WAT-4 is built on the Kärcher MIC34 quite similar to the STIGA TITAN, but has a wider range of tools in the KÄRCHER program. Type WAT1, 2, 3, 4 can operate single or several M1’s, in-line for fast, or side by side for wide drying. Ideal for Airport jobs. Fuel tank optional for 110 to 350 Litre. Option: WAT3 without cabin and air condition on Kärcher MIC 26.